” The report found the programs resulted in improved health outcomes and self-esteem, greater engagement with education and training, and increased school attendance and literacy. They also saw a decrease in anti-social and criminal behaviour, reduced drug and alcohol abuse, and fewer children sentenced to youth detention. Relationships between children and their families, the community and authorities also improved. The study, on the impact of youth programs in remote central Australia, found that, with enough support and effort, youth programs provided significant support to children, their families and communities, as well as the broader health, education and justice systems. The report, presented in Canberra on Tuesday, comes amid ongoing issues with youth crime and substance abuse in the Northern Territory, and skyrocketing rates of incarceration – particularly among Indigenous youth – across the country. The royal commission into the protection and detention of children in the NT has spent recent weeks hearing of the importance of early intervention in stopping the cycle of criminal behaviour and incarceration. It found all three were forecast to create a positive return over the next three years, ranging from $3.48 in Utopia to $4.56 in Yuendumu. The study said a successful youth program was “reliant on stable and skilled youth workers, regular and consistent activities and community involvement in the design and delivery of the program”. The Warlpiri Youth Development Aboriginal Corporation (Wydac) – formerly known as the Mt Theo program – was found to have the biggest return. Based on Nous’s social return on investment formula, it had a projected a social return worth $14.14m for a two-year investment of $3.01m in 2017/18 and 2019/20. Wydac, in the community of Yuendumu, 300km north-west of Alice Springs, employs seven staff and has up to 120 young Indigenous trainees, a number of whom go on to become youth workers themselves, Wydac said. The Hermannsburg youth program, which has run since the mid-1990s but saw increased funding from 2007/08, also saw positive outcomes and a projected return of $8.05m of social value on a funding investment of $1.95m. The anticipated investment of $1.02m in the Utopia program was forecast to generate about $3.56m of social value. The findings were guided and verified by a stakeholder group that included the youth programs, regional shire councils and territory and federal government departments. 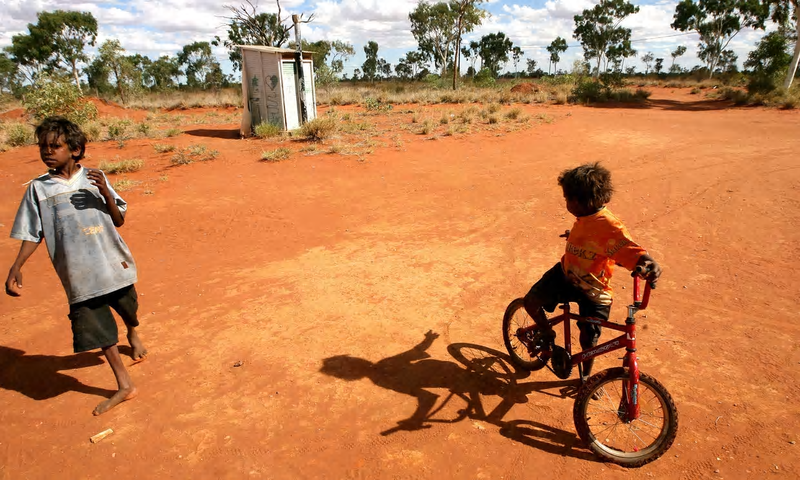 The report was commissioned by the Central Australian Youth Link Up Service (Caylus), which was set up by the federal government in 2002 to address an epidemic of petrol sniffing in remote central Australian communities. It now coordinates and supports youth programs and responds to sniffing and other substance abuse outbreaks across the region. The organisation has consistently maintained that substance abuse issues must addressed on both the supply and demand sides, and youth programs effectively addressed demand. “Stakeholders in remote communities across our region consistently state that youth programs are essential to give kids good things to do, keeping them busy and away from trouble,” it said in the report. Blair McFarland, co-manager of operations at Caylus, said it had been difficult to get successive federal and governments on board with the idea that consistency in delivery is key. “No one seems to have understood the value of those youth programs – partly because [people in cities] don’t understand the context of where they’re happening,” he said. In these places, where extreme poverty, high unemployment, and low engagement with Centrelink support are also factors, there is “literally nothing else” for young people to occupy themselves with without a youth program. “In that context the youth programs were a little island of hope, it demonstrated to the little kids that somebody cared about them,” he said. McFarland said there had been vast improvements over the past 15 years but there were still big gaps in resourcing – and the situation was far better in central Australia than in the Top End. The Nous Group principal, Robert Griew, said his company partnered with Caylus as part of its work supporting community organisations.